Exporter of a wide range of products which include bath sonicator with chiller, ir hydraulic pellet press, nitrogen concentrator / evaporator, recirculating water chillers, ultrasonic activity meter and nylon membrane filter for hplc. High frequency electrical energy is converted into ultrasound waves by means of ultrasonic Tranducers, which are bonded on the base of S. S. Water Tank. These high frequency sound waves create in the liquid countless, Microscopic Vacuum Bubbles, which repidly expand and collapse. This phenomenon is CAVITAION. These bubbles act like miniature high speed brushes, driving the liquid in to all openings and minutes recesses of the Object immersed in the liquid. Intense scrubbing of Cavitation cleans away all the dirt and soil from the object immersed and the object is perfectly cleaned. Intricate objects can be cleaned with either complete or little Dismantling. • Easy to operate E e made of S. S. Tank. frequency shifted even during demanding applications. • Compact, rugged and highly durable systems. 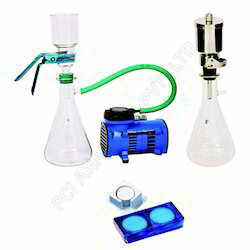 To prevent solvent which gets evaporated above ambient temperature while sonicator during mobile phase. • Jewellery : For all kinds of Jewellery, Precious Stones etc. Also more IR / FTIR Accessories are available. 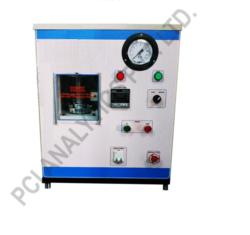 - 15 ton laboratory Hydraulic Pellet Press is a compact, elegant and robust machine, typically used by R&D & QC labs for various pelletizing application for IR/XRF etc. - Steady pressure building and controlled release ensures better pellet quality. - Settable parameters - pressure, hold time & ram retracting time. - Transparent Polycarbonate safety guard has been provided in the area of operation. 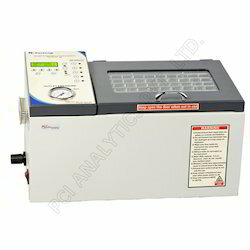 Nitrogen Concentrator / Evaporator EV-plus-08 is a Precision Sample Concentrator by Nitrogen Purging. 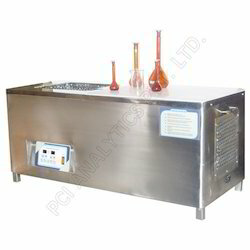 It is a newly designed Sample Concentrator for multiple sample pre-concentration of in organic media. A Table Top Model. The unit can be set to a constant Flow and constant Temperature to ensure good evaporation. Also, the Nozzle height can be electrically set to the required level. 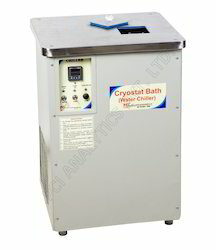 It is fully microprocessor controlled and water bath, Temperature, gas station, more advantage LCD display, over Temp. 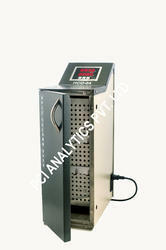 Heater ON/OFF LED, door open display, high temperature Thermal Coutour for safety for best quality and best performs. The recirculating chillers are designed to handle high cooling capacities. These chillers operate in the temperature range from +5ºC to atmosphere and have built in high pressure pump. These chillers are useful to cool other instruments which generate heat. Viz. Lasers, Furnaces, XRD, etc., Graphite Furnace, Fermenters, Thermal Instruments, Rotary Evaporator. Water Chiller Unit: It consists of chilled water storage tank of about8-15 liters capacity along with Compressor, Condensing Coils,Cooling Fan, Temperature Controller Programable type, Water Inlet Outlet connection and chilled water circulation pump to circulate chilled water through S.S. cooling coils and bring back to chiller tank. • This has an Inbuilt delay of about 1-2 minutes for the Compressor to be ON. 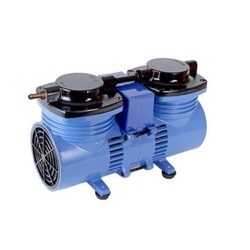 • Switch for Chilled Water circulation pump. This has no time delay. • This is fitted in a Floor Mounting type with Castor Wheels (optional). Ultrasonic Performance Meter provides a fast, effective and simple to use a method of measuring the ultrasonic activity generated in ultrasonic baths. It is used to give a comparative measurement of one bath’s performance over a period of time. 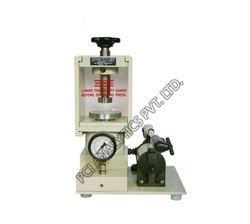 - 15 ton laboratory Hydraulic Pellet Press is a compact, elegant and robust machine, typically used by R D QC labs for various pelletizing application for IR/XRF etc. - Settable parameters - pressure, hold time ram retracting time. • Diaphragms are made of special 2-Ply Nylon reinforced neophrene rubber. 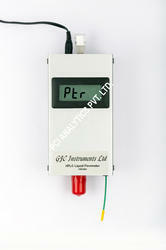 • Terminal Mode: in this mode the liquid flowmeter is controlled by the terminal or PC. Extra commands for averaging any number of readings are included. • Test Mode: this mode allows the user to test the display, valve and RS232 interface and also display the calibration date. • Mains ‘wall block’ power supply with a choice of 240v 3 pin UK, 230v 2 pin European or 100v 2 pin USA/Japan. • RS232 input/output cable: 8way mini-din plug to PC COM port 9 pin female. • Universal mounting kit: allows free standing mount, wall mounting, ‘stack system’ mounting and bottle top mount. • Black plastic carrying case with foam inserts. All parts of the mounting kit are packed within the carrying case. • Cleaning kit now supplied with the flow meter. • Digital display of set actual temp. Stackable Unique stacking kit allows increase the number of columns you can store at any time. 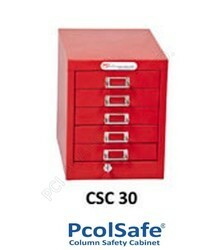 100%Steel Cabinet Quality, solid steel construction with chrome-plated D-Ring handles. 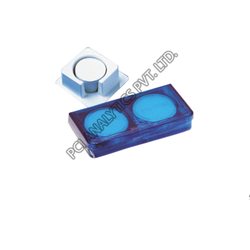 Optional Fittings Tray Moulded 6 position tray for easy storage of HPLC tools and fittings. 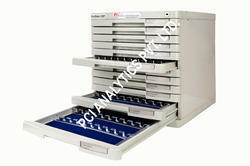 Versatile Store up to 12 x 12.5cm columns in a single drawer, or a combination of short columns, guard columns and analytical columns. Holds all columns up to 30cm long. The high-performance liquid chromatography (HPLC) pump is designed to be a reliable component within a basic analytical or sophisticated research instruments. 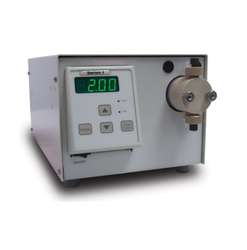 While ideal for HPLC applications the pump is also useful as a metering pump for general laboratory or industrial use. stainless steel or biocompatible (metal-free) PEEK™. motor acceleration, and an internal pulse damper. Can easily be modified for analytical and semi-preparative techniques. LED readout on the front panel—shows the flow rate. A tactile response, chemically resistant front panel keypad. Digital stepper motor design prevents flow rate drift over time and temperature, which is a common problem found in analogue design. Back panel RS232 serial communications port for complete control and status monitoring. 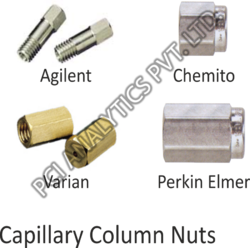 We are a leading Exporter & Manufacturer of GC Consumables such as Packed Columns, Capillary Columns, Ferrules (Teflon/Graphite), Needle Valves / Gas Sampling Valves, Nut & Ferrule, Liners and many more items from India. Useful for measuring any gas flow rate specially for G.C. Analytical Instruments. The DIGITAL FLOW METER is based on the classical method viz. Soap film method. The instrument is automated by using Microcontroller which provides highly accurate measurement and direct digital read out of gas flow rate. The time required for the soap film to pass through a fixed known volume is measured. The soap film is sensed by IR sensors. When the soap film passes through the first sensor, it activates the timer of Microcontroller. The timer is stopped when the film crosses the second sensor. The flow rate is then calculated by Microcontroller and instantly displayed in ml/min. Where as DFM-05 DFM-06 are direct flow measurement based battery operated. 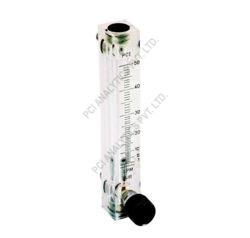 Measuring Rotameter is used to measure flow for different gases. gas station, more advantage LCD display, over Temp. 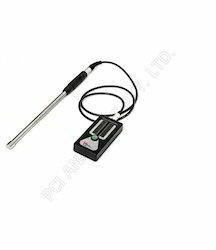 Heater ON/OFF LED, door open display, high temperature Thermal Coutour for safety for best quality and best performs. • Sample capacity: 50 Nos. • Gas Line: 5 Nos. must go to outside the lab. Temperature upto 60°C with Heate also avalible. Outer Chamber also available in SS on request. 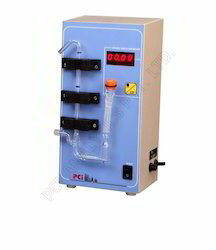 Water Chiller Unit: It consists of chilled water storage tank of about8-15 liters capacity along with Compressor, Condensing Coils,Cooling Fan, Temperature Controller Programable type, Water Inlet & Outlet connection and chilled water circulation pump to circulate chilled water through S.S. cooling coils and bring back to chiller tank. • Insulation: Duly insulate by P.U.F. • Outer chamber also available in SS on request. Our ultrasonic Probe Sonicator is widely used in tissue processing and particle dispersion. Based on latest technology, these can be easily transferred from one batch to other with intermediatory operations like emptying, cleaning and refilling. The ultrasonic processor can easily be transported to various locations of sample operations. Solid Phase Extraction is today’s chosen method of Sample Preparation across all Bio-Analytical and Bio-Equivalence studies Laboratories and even Food Assay Laboratories, Toxicological Testing Laboratories. Several Techniques of speeding the Sample Preparation work have been designed and implemented, however the Positive Pressure Manifold for Solid Phase Extraction remains unmatched in speed, uniformity, ease of operation and convenience to the user. 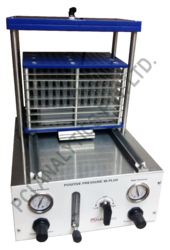 PCI Analytics Positive Pressure SPE-96 sample processor is 100% indigenously developed and successfully tested SPE Positive Pressure manifold that offers state-of-the-art operation for moving liquids through SPE- 96 tube devices. Each of the 96 holes in the processor manifold are restricted in order to maintain constant pressure, even if all the tube positions are not filled. 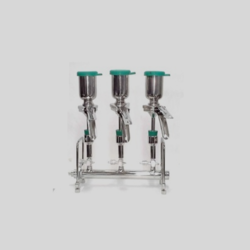 SPE sample processing by positive pressure significantly improves the flow of viscous samples like plasma/serum through SPE packed bed by providing highly uniform flow from tube to tube which will ultimately improve the reproducibility of analytes SPE recoveries. The DFM-07 Flow Meter is a reliable platform for measuring volumetric gas flow without having to know the gas composition (limited to non-caustic gases). replace the old cartridge yourself. 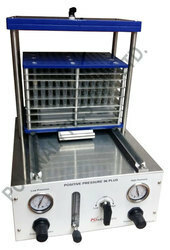 Several Techniques of speeding the Sample Preparation work have been designed and implemented , however the Positive Pressure Manifold for Solid Phase Extraction remains unmatched is speed,uniformity ,ease of operation and convenience to the user. 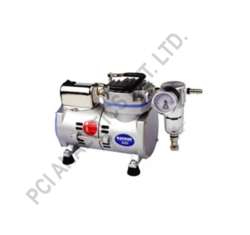 PCI Analyics Positive Pressure SPE-96 sample processor is 100% indigenously developed and successfully tested SPE POSITIVE Pressure manifold that offers state -of -the- art operation for moving liquids through SPE-96 tube devices. Each of the 96 holes in the processor manifold are restricted in order to maitain constant pressure, even if all the tube positions are not filled.SPE Sample processing by positive pressure significantly improves the flow of viscous samples like plasma/serum through SPE packed bed by providing highly uniform flow from tube to tube which will ultimately improve the reproducibility of analytes SPE recoveries. The high-performance liquid chromatography (HPLC) pump is designed to be a reliable component within a basic analytical or sophisticated research instruments. 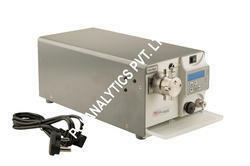 While ideal for HPLC applications the pump is also useful as a metering pump for general laboratory or industrial use. The flow rate of the pump fitted with a standard 10mL pump head can be set in 0.01 mL increments from 0.01 to 10.0 mL/min; size is available in type 316. Stainless steel or biocompatible (metal-free) PEEK™. The low pulsation flow produced by the reciprocating, single piston pump is achieved by using an advanced rapid-refill cam design, programmed stepper motor acceleration, and an internal pulse damper. The tactile response, chemically resistant front panel keypad. 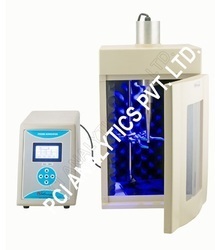 Looking for Analytical equipments ?